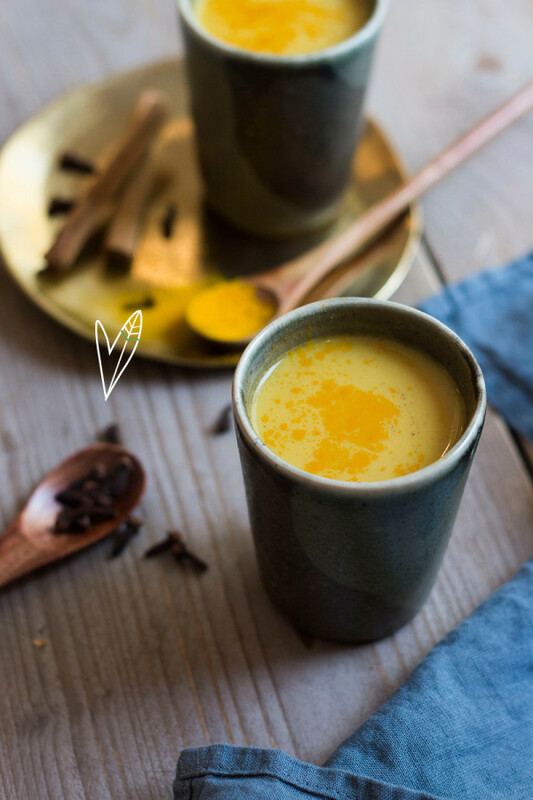 Each month we invite another food blogger to tip us with one of their best recipe’s, inspired from a country or place they have been. 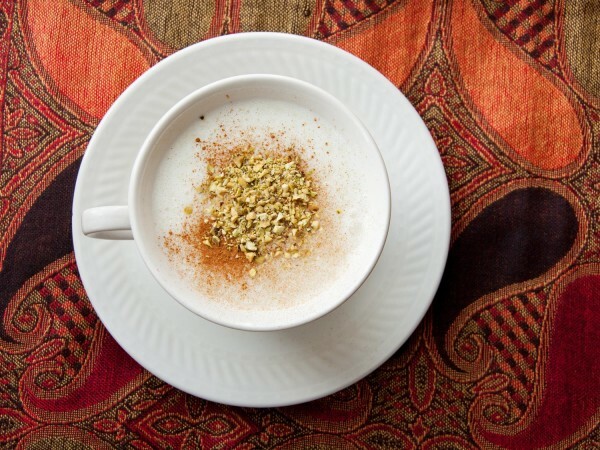 Because Christmas is coming up, we’ve asked Benine from Benine’s Kitchen to provide her with a recipe that would perfectly go along with a cup of hot chai tea latte, a fireplace, and Christmas songs. 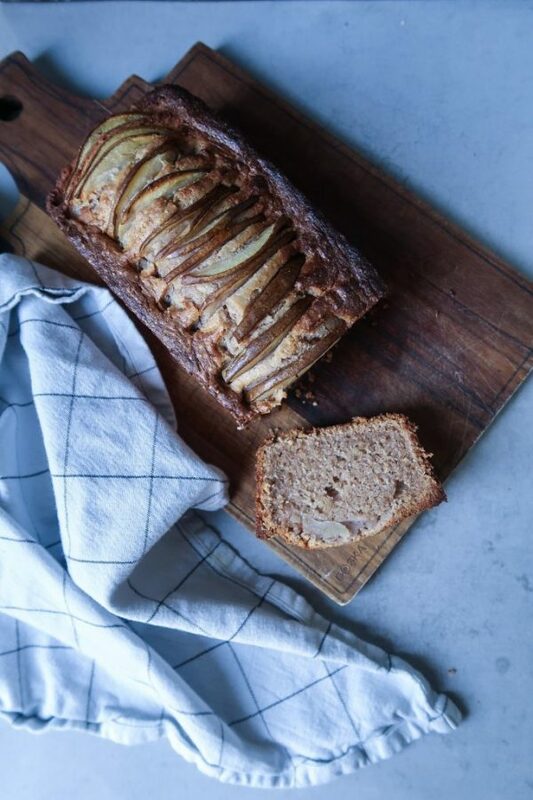 Introducing the (gluten free) walnut cake with pear! 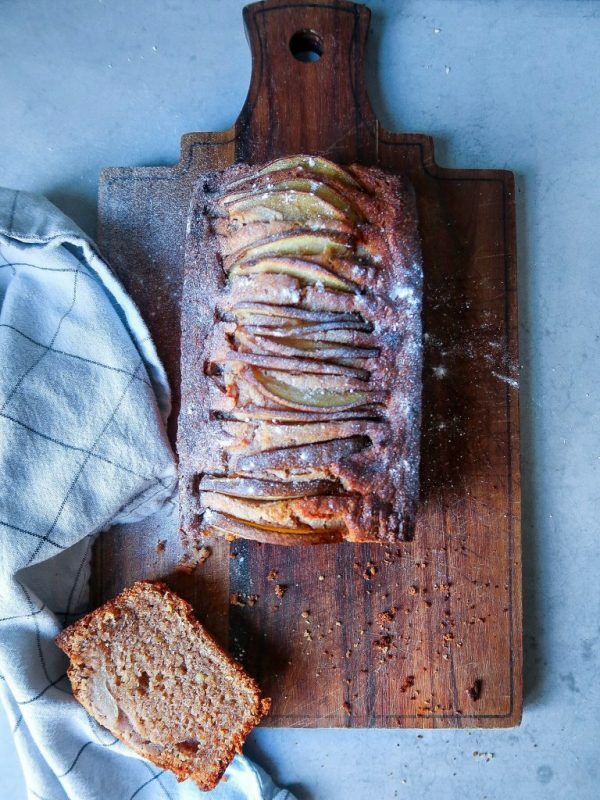 How you make the walnut cake with pear? Preheat the oven on 175 degrees. Use a baking tin of approximately 20 centimetres and grease the tin with butter. Take the butter out of the fridge and use when it’s on room temperature. Mix the butter and sugar until creamy. Add one egg at a time and mix through the mixture. Use a food processor to chop the walnuts finely, add the chopped walnut to the creamy batter and mix again. Then add cardamom, cinnamon powder, salt and ginger powder and mix. Add gluten free self raising flour and mix shortly. Pour the batter in the baking tin. Rinse and slice the pear in quarters. Then slice every quarter into thin slices, you can leave the skin. Position the slices of pear in a straight line on top of the cake. Put the into the oven en bake for 55 minutes. After, take the cake out of the oven and let it cool off for about 5-10 minutes. I can recommend to eat the cake when it’s still a little bit warm though! Sprinkle some powdered sugar on top for for decoration. 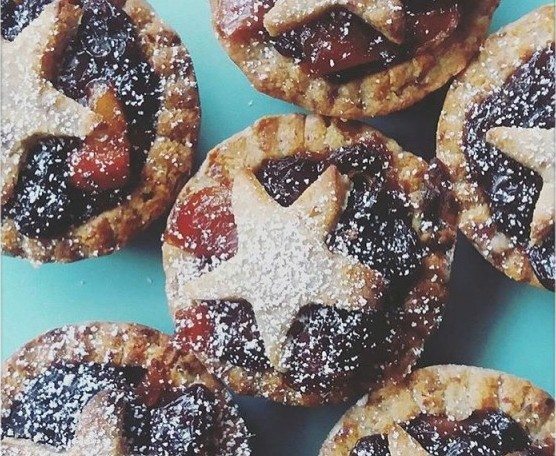 For more recipe’s from Benine’s Kitchen, check out her website! 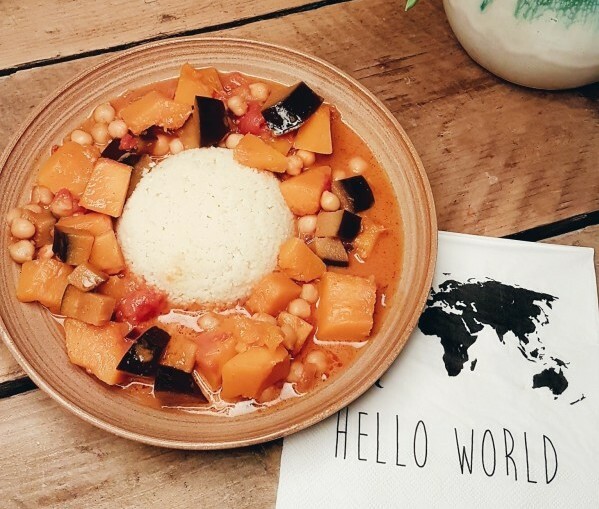 With Marrakech on our minds, we had to share this delicious recipe with you. A Moroccan friend of mine loves to cook and creates the most amazing recipes. One of her dishes I really like is her Moroccan Couscous Salad. 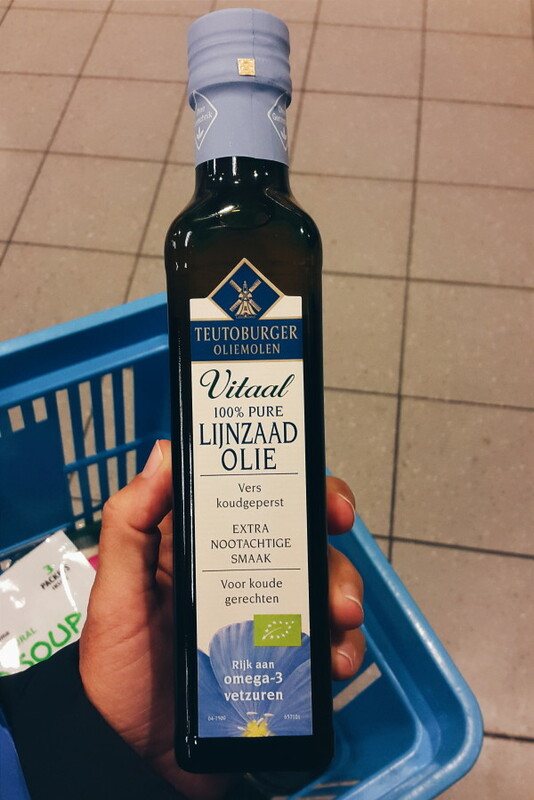 The taste is amazing; full of different spices & herbs, fresh and.. healthy! This inspired me to create my own version..
Boring salads are a thing of the past! 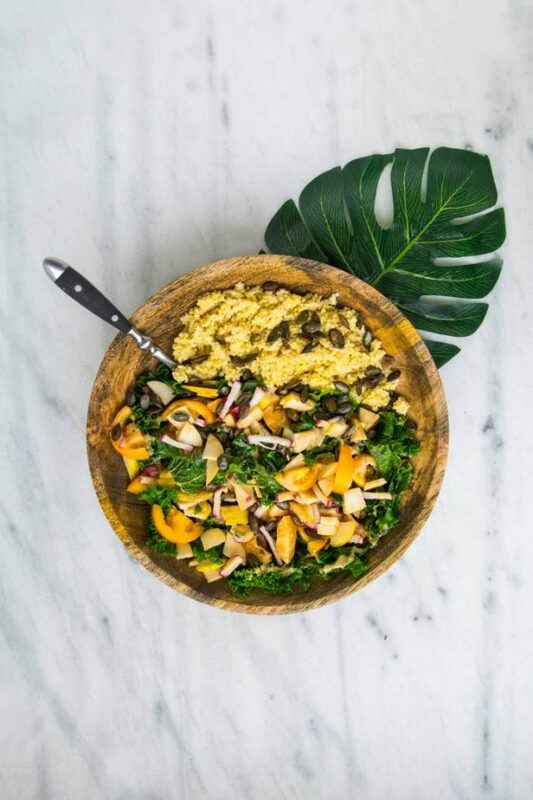 I created my own healthy fresh vibrant Moroccan couscous salad packed with protein.Besides the fact that I really like couscous it’s also contains healthy essentials such as whole grains and fiber! 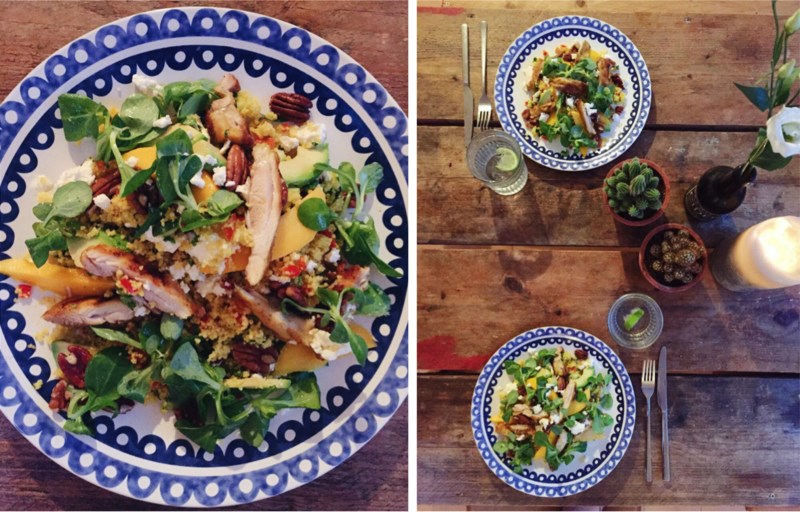 You can make various couscous salads, but have a look at my version. 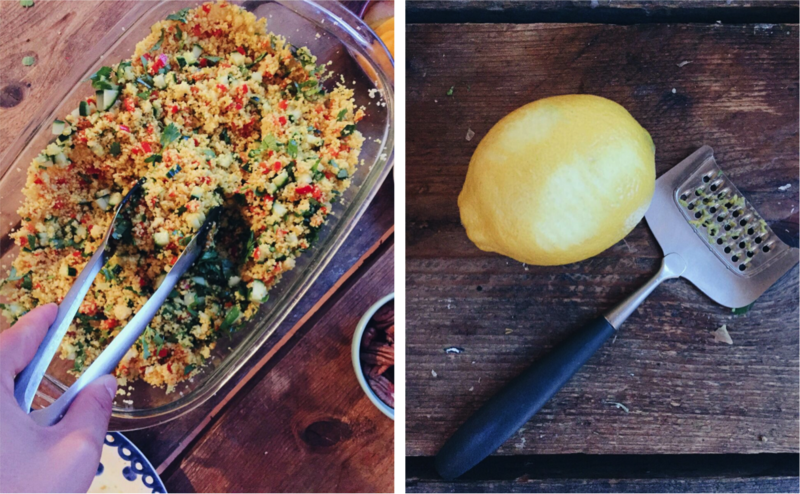 Say hello to this tasty Moroccan style couscous salad, Let’s go! 1. Put chicken stock on the stove until almost to a boiling point. 2. Put the couscous in a bowl and add the double amount off hot chicken stock, than cover with cling film. Leave for 10 minutes. 3. Put a pan on the stove with some sunflower oil. Sweat of the diced union and bell pepper cubes for a about 1 minute, then add the spices (turmeric powder & curry powder), leave on the stove for another minute. 4. After leaving the couscous for 10 minutes add the union, bell pepper and spices to your couscous and mix well. 5. Squeeze half a lime in the couscous and add the zest of the lemon, add olive oil and if it needs salt than add that as well. 6. Put a grill pan on the stove and grill your chicken until nicely crisp on the outside and tenderly cooked on the inside. 7. Add the rest of the vegetables, feta cheese, pecan nuts and the fresh coriander to the couscous and mix gently. Garnish with some lamb lettuce and cut the chicken into nice pieces and put these on as well. You can leave the chicken breast out or instead you can add fish like raw mackerel or even grilled zucchini. 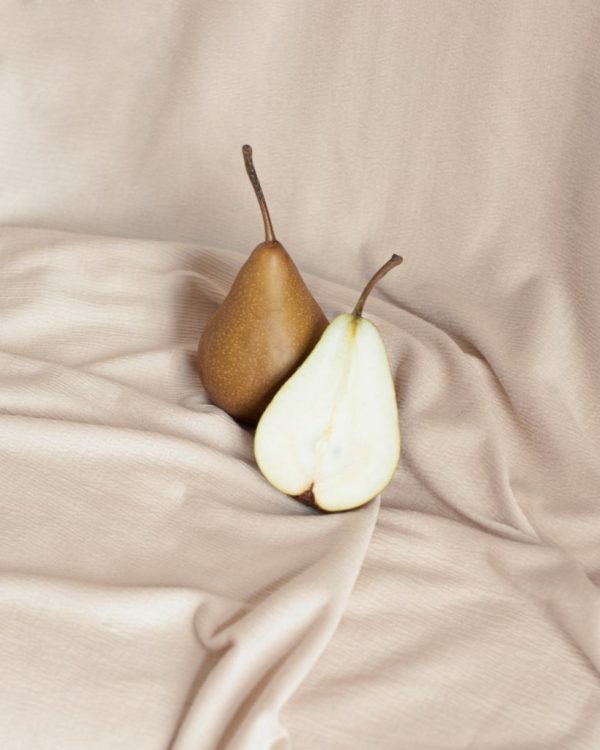 Each month, a wonderful food blogger will share one of their best recipe’s in our LUST section. 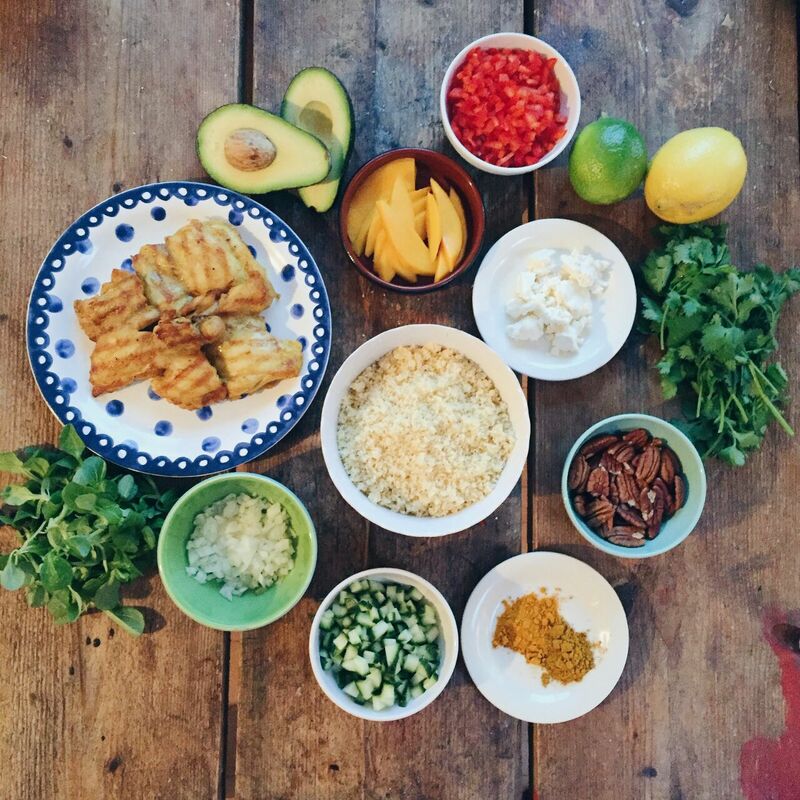 This month it’s a warm and tasty Peruvian recipe from Paola Holthausen, better known as @cravingsinamsterdam. When I was little, I would always ask my mom to make me this dish. 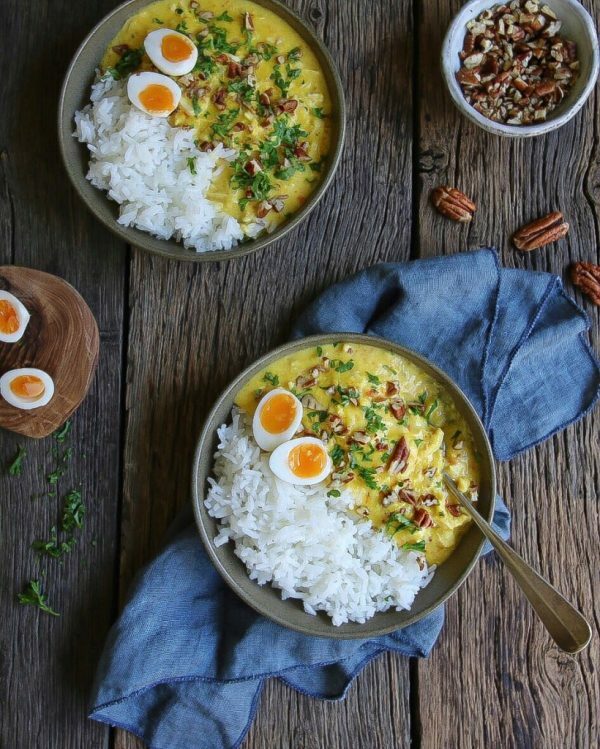 Aji de Gallina. It is such a comforting meal for me. And now I make it for Pieter since he really likes it as well. It’s not very spicy and you can always adjust the heat to your liking. Gallina means hen in Spanish. As it was traditionally made with it, but nowadays is most commonly made with chicken. It is made with Aji Amarillo, a Peruvian chili paste that you can find in Latin American stores or online. In Amsterdam, you can find it at Tjin’s Toko. Remove the crust from the white bread and discard them. Soak the bread in the milk, use a fork until it dissolves. Place the butter in a large pan over medium heat. Once it melts, add the onion. Let the onion cook for a few minutes till it becomes translucent, stirring from time to time so it doesn’t get brown. Then add the minced garlic. Stir. Add the Aji Amarillo paste. Stir for a minute. Then add the shredded chicken. Add the white bread soaked in milk, the cream and chicken stock. Stir until everything is well combined. Let it cook for about 15 to 20 minutes until it thickens. Stirring from time to time. Then add the Parmesan and salt to taste. Mix well. Serve with white rice, soft boiled quail eggs, chopped pecans and chopped parsley. What time is it? Cocktail o’clock you say? 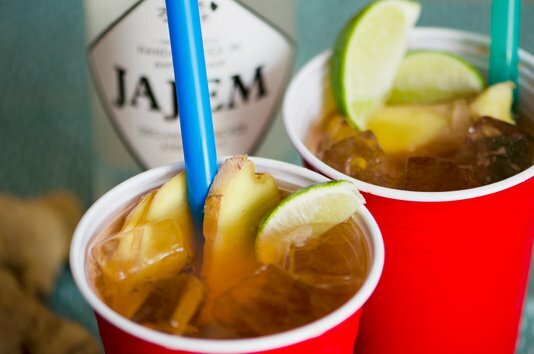 We have a new favorite summer drink and it’s created with a local brandy named JAJEM. 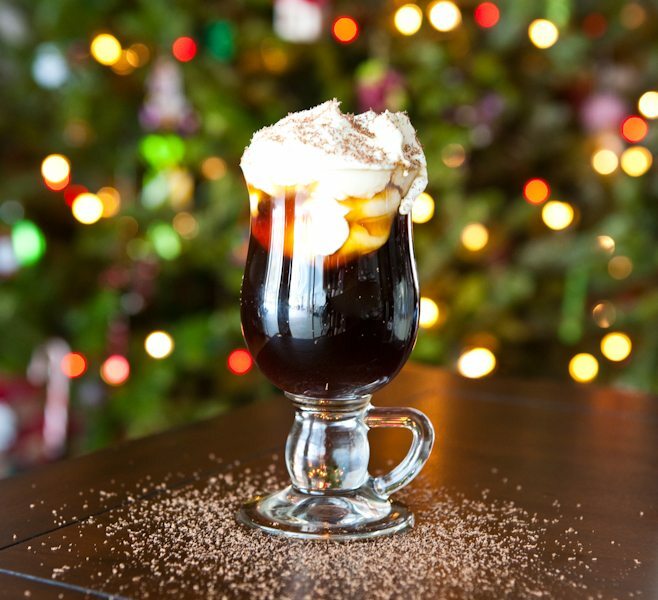 Serve it in a American redcup (for the full affect) or a pretty glass and tadaaaa! Here’s your summer drink for this summer. For more info about Amsterdam JAJEM, check this link. 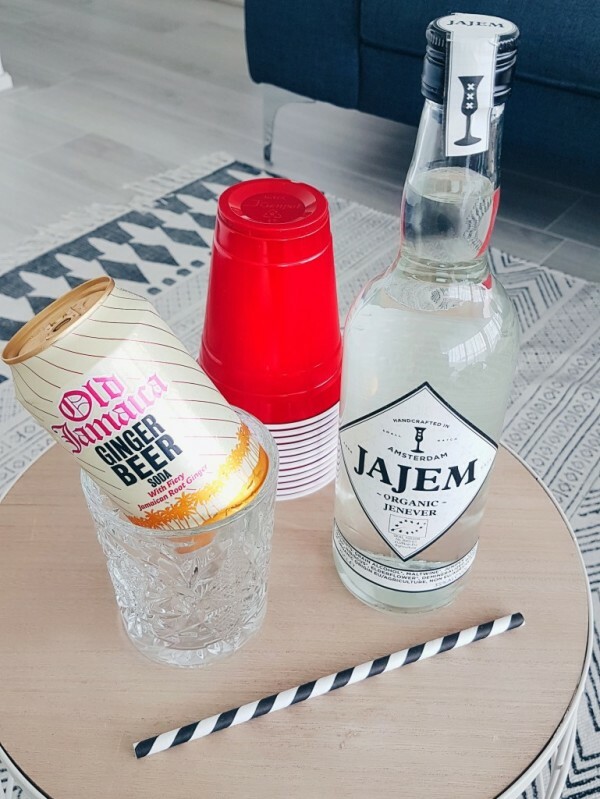 *We did not collaborate with JAJEM for this article, we genuinely love it! More recipes? Check them here! I looove curries. Not just because they taste so damn good, but also because of the colors and the many ways you can prepare them. I have never been to India but their cooking style inspires me. They use a lot of herbs into one dish, sometimes more than 10 (!) and it can take up to 4 hours to prepare the perfect curry. But let’s face it, we live an active lifestyle and we do not always have the time. 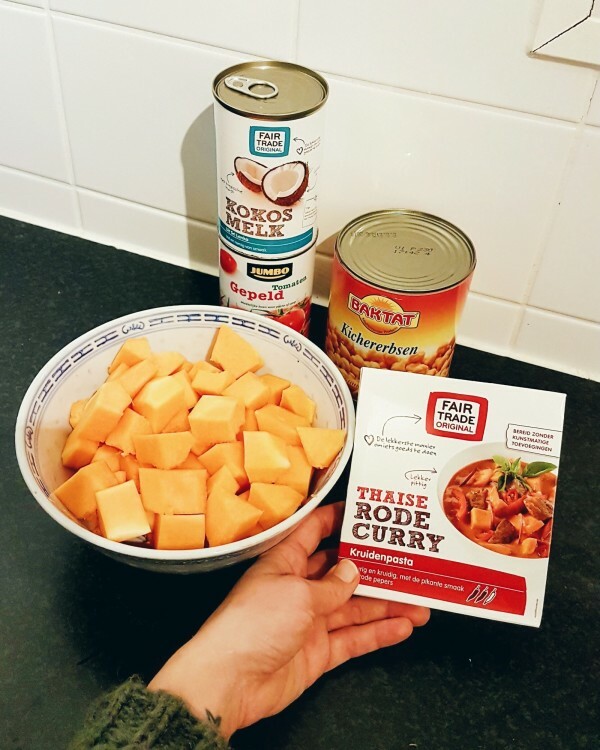 I decided to share this easy to cook Vegan Pumpkin Curry recipe with you so you can enjoy a little taste of India in just 30 minutes! Always go for the fairtrade option! 1. Cut the pumpkin into small squares, remove the skin and wash.
2. Fry the onions and chopped garlic into some coconut oil until glazed. 3. Add the pumpkin and a dash of coconut milk and stir for about 5 minutes. 4. Add the rest of the coconut milk and the curry paste. Add the tin of tomatoes, bring to boil and let the whole bunch simmer for about 20 minutes. 5. After 20 minutes you add the chickpeas. Leave for another 5 minutes and turn off the stove. 6. Add a bit of salt, pepper and coriander if you like to. Voila! 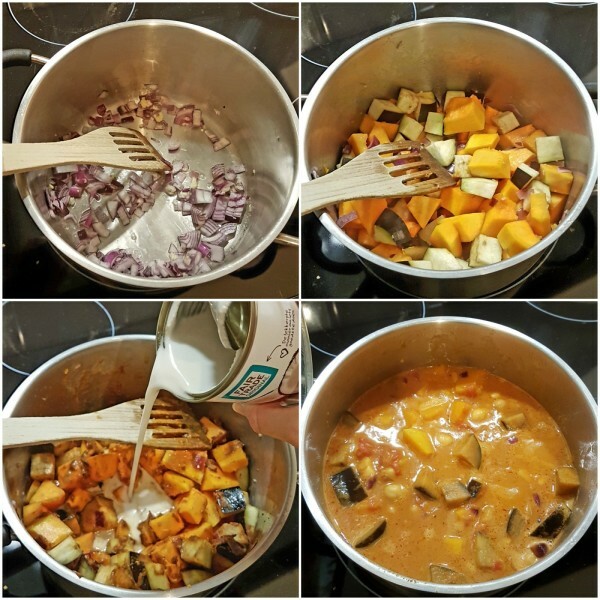 You’ve got yourself a vegan pumpkin curry! For the best flavor, you let it cool down, add the pan into the fridge and enjoy it the next day when all the flavors are even better. 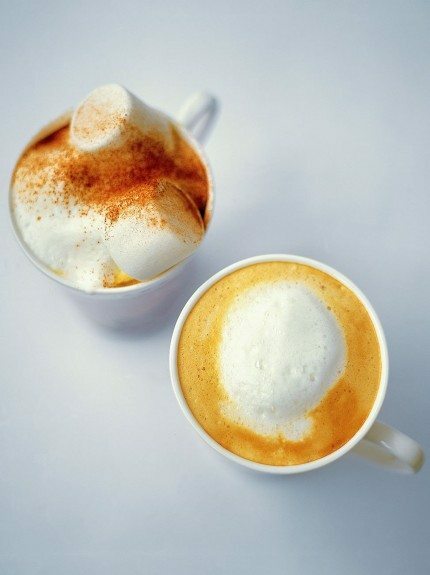 This recipe will cost you around 6 to 8 euro’s and it’s sooo easy to make! 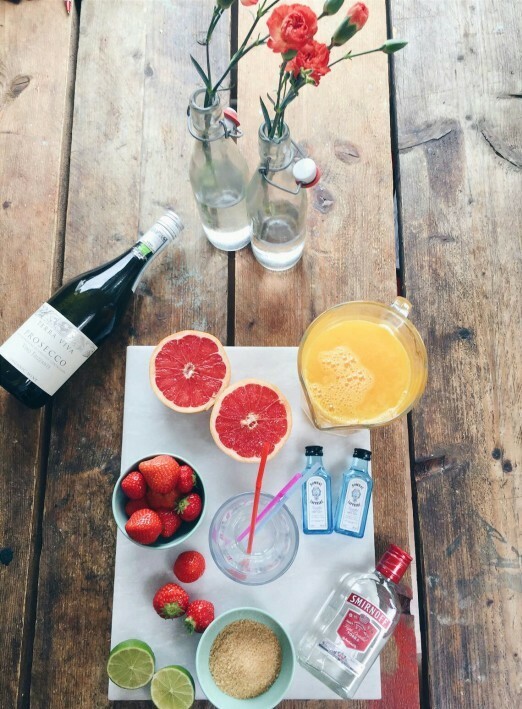 Recipe » This summer’s best cocktail! Last weekend we went to Valencia for the weekend. We were there for a few days only, but it felt like a full summer holiday! 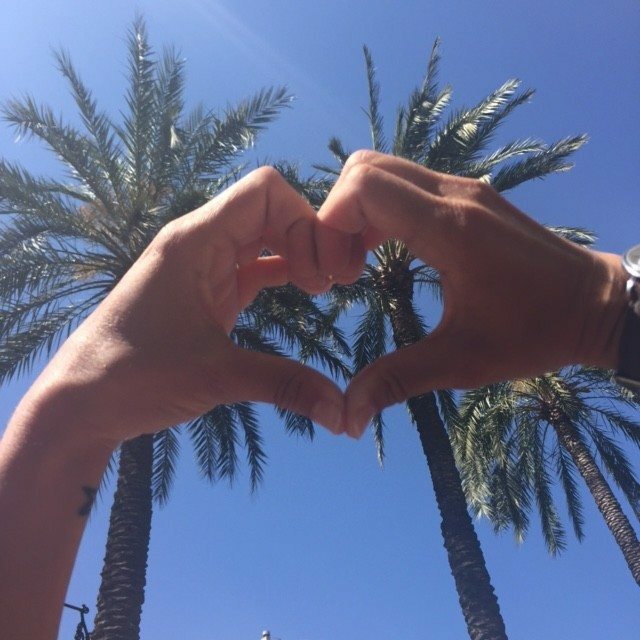 Every city inspires us in a different way and Valencia inspired us to a a-ma-zing summer cocktail. 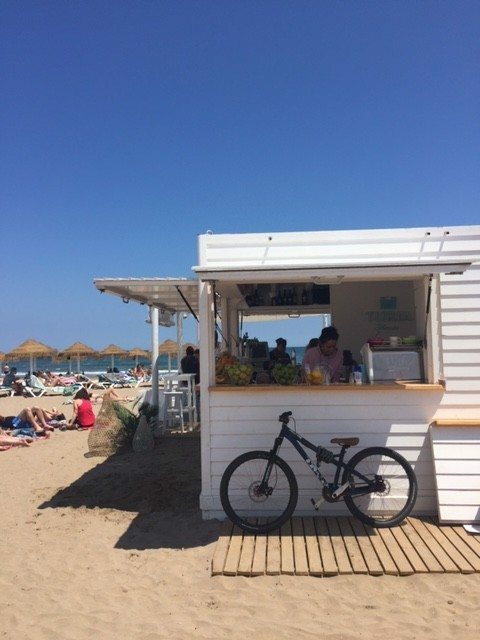 The combination between sun, beach, delicious pinchos, local prosecco (seriously cheap and good) and architecture, is what made us so intense happy in Valencia. 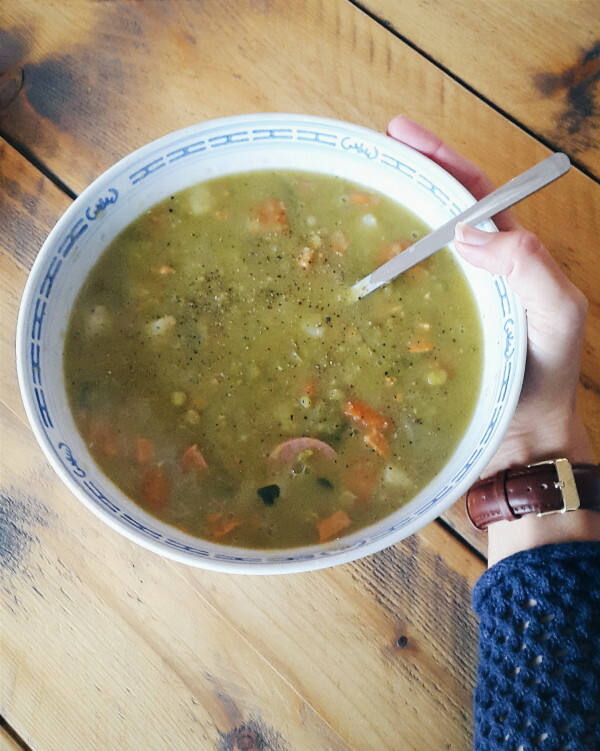 Everything what we needed after spending some cold days back in the Netherlands. Put a good amount of ice into a large glass. Add the brown sugar. Cut the strawberries into small pieces. 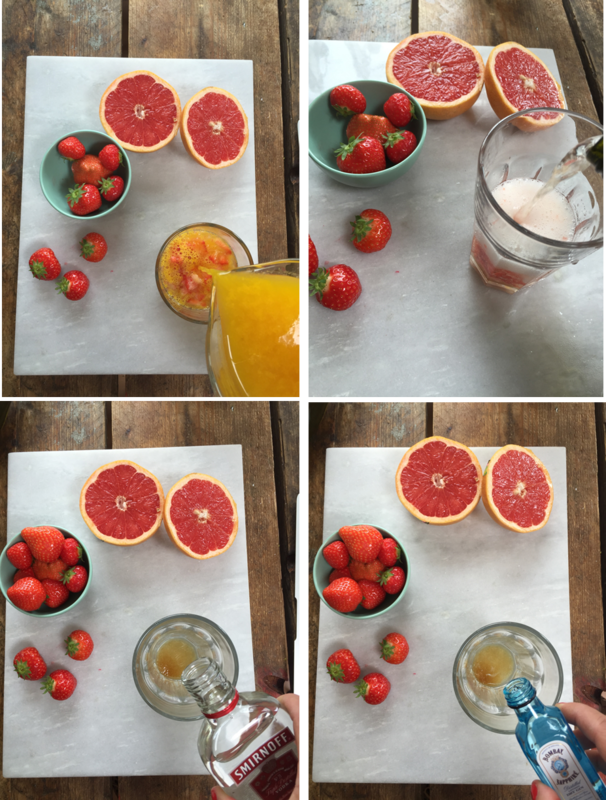 Add the strawberries, gin, vodka, prosecco and fresh orange juice Cava. 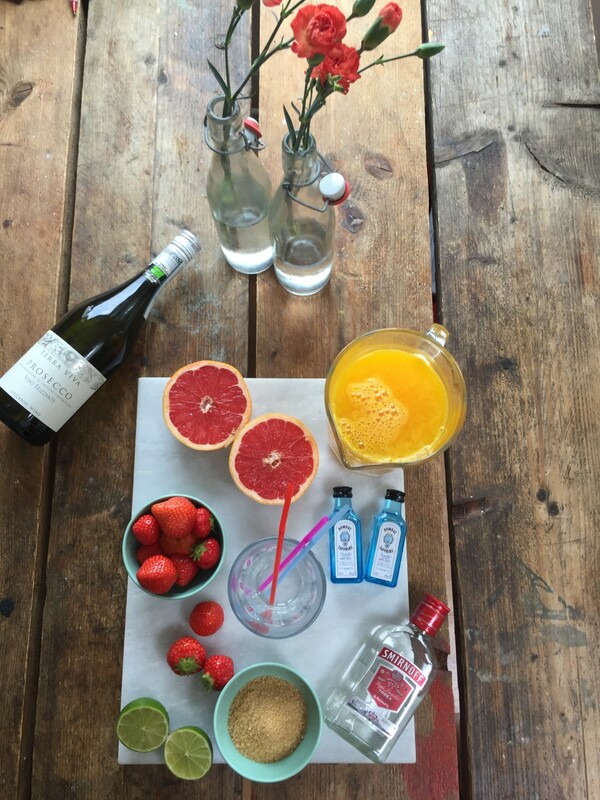 From now on this is our favorite summer cocktail for this summer! 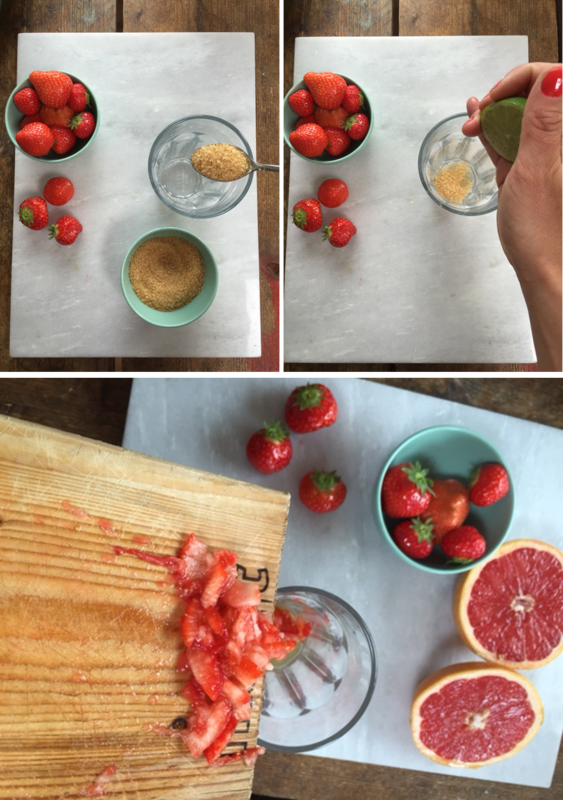 It’s been a while since we’ve posted a recipe but when we do post it, it’s gonna be good! 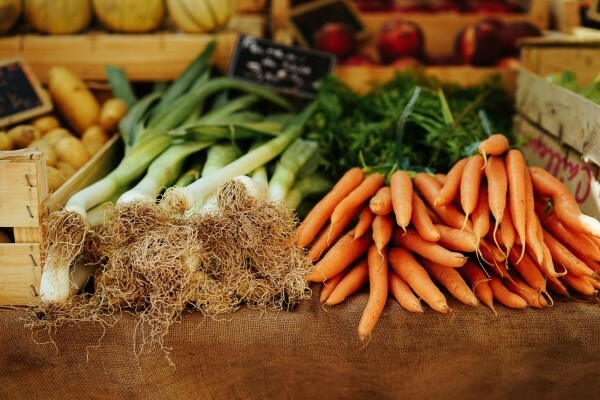 One of the new foodtrends of 2016 is to eat less meat or explore vegetarian and vegan recipes. 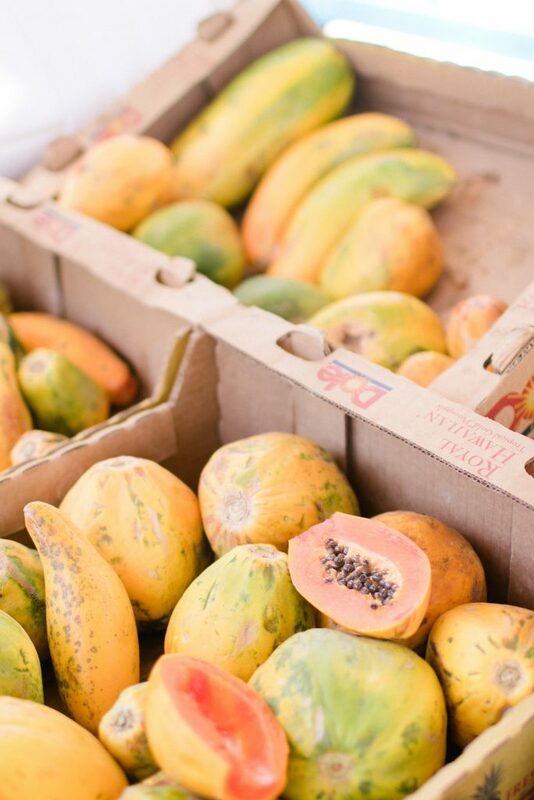 At Wander-Lust we always post recipes inspired by travels or countries. This time we go Japanese! 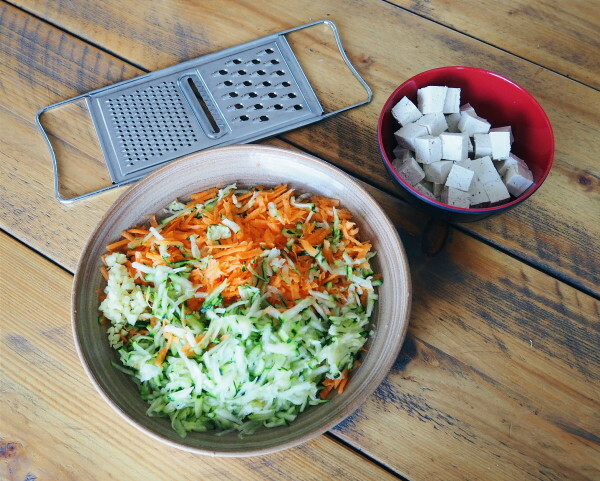 This vegan Japanese Tofu Salad recipe is so easy, you can be done within 15 minutes! The ideal lunch for when you’re rushing but feeling like something healthy. Wash the zucchini and carrots and use a grater to create thin and long strings. Cut the tofu in half and take some kitchen paper and press this onto the tofu to soak up the the water. If you don’t do this, your salad will be too moist! 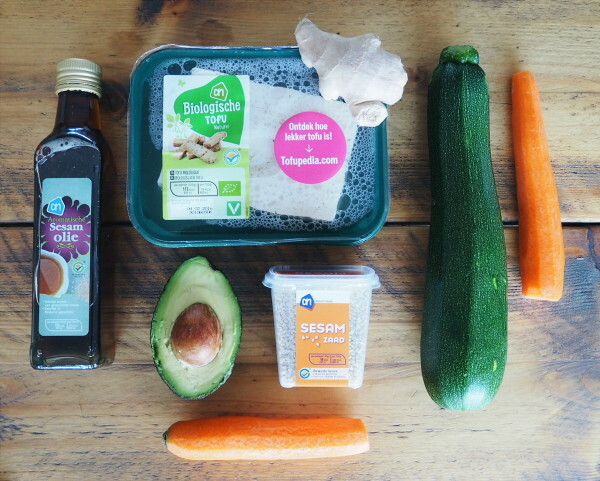 Add the carrots, courgette and tofu in a bowl and sprinkle with sesame seeds. 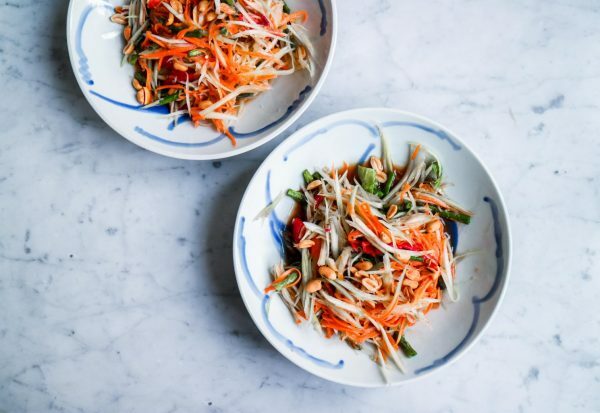 To create the dressing you firstly take 2 spoons of miso paste, 1 table spoon of sesame oil (I love this oil so I use a little more), the flaxseed oil and the chopped ginger. If you want you can use a garlic press for this! Add the honey for extra thickness and sweet flavors. Mix everything until you have your finished dressing. You can add some Japanese soy sauce for a bit of salt but that’s up to you. I love a bit of spice so I always add a spoon (or 2) of “Javaanse sambal“. Finally, pour the dressing over your vegetables and steer. Easy peasy! 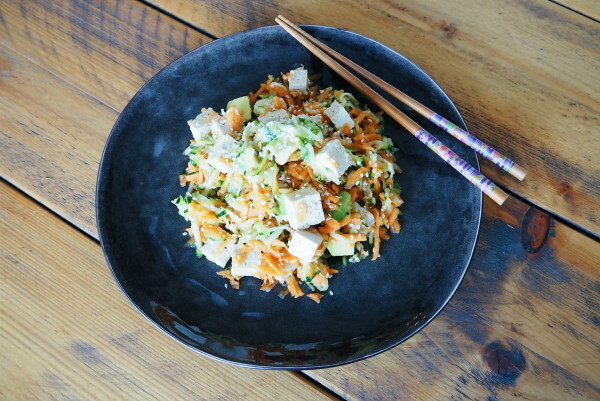 Et voila, your healthy vegan Japanese Tofu salad! 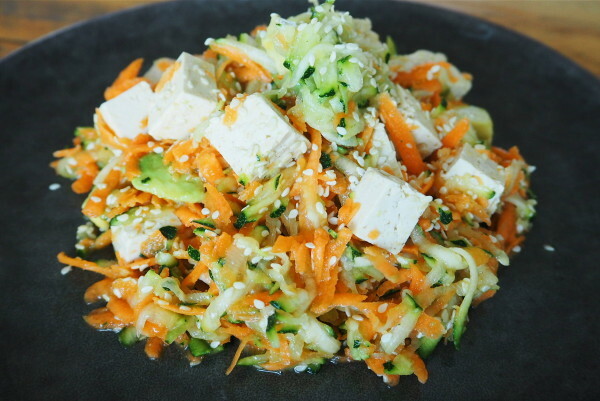 Tip » Leave the salad in the fridge for a couple of hours so all the flavors can soak into the tofu. You can keep the salad for 2 days if refrigerated. More meat free inspiration? Check my post about Vegans are Hot!